Express your own creativity with Unity Farm’s fresh, locally grown, and certified organic DIY flowers. Sold in a standard bucket which contains 50 stems; 1/3 focal flowers, 1/3 filler flowers and 1/3 foliage. You get to choose the type of flowers, fillers and foliage that your bucket contains. If you want a different ratio of flowers, we can make a custom bucket for an additional fee. All buckets come with detailed instructions on how to care for your flowers once you pick them up. Unity Farm’s DIY flowers are available June-October. Unity Farm has a wide variety of seasonal flowers, bulbs, vines and ornamental branches available for your DIY buckets. Flower availability varies through the season, so See the “Available flowers” list to check seasonal availability and give us a call for weekly updates. Custom pricing will vary based on your order request. Buckets are provided at no charge. Minimum of one standard bucket per order. All orders require a 30% non refundable deposit. We accept online credit card payments through PayPal or by check. Unity Farm is very flexible and offers a wide window for you to pick up your flowers during our working hours, Monday – Friday. You will need to schedule ahead for your pick up time to ensure your flowers are ready. We harvest the day before or the day of your scheduled time to ensure your flowers are at their very freshest and that they last as long as possible. 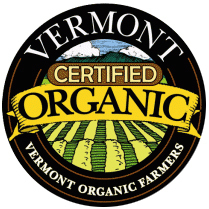 Pick up your order at Unity Farm in Charlotte, Vermont. Click here for directions. All orders must be placed at least 2 weeks before your event. To help us help you, please fill out the “Start the Conversation” form below and we will get back to you. Your Unity Farm contact is Cathy at 914-703-1328. You are welcome to call her with any other questions Monday – Friday from 9:00 am to 4:00 pm. She will help you find just the right flowers for your special day. Once we have worked out the details we will give you a price and place the order.